A Heart for People. A Passion for Excellent Dentistry. Dr. William Ott was born and raised in Florida, having grown up in St. Petersburg. After graduating high school, Dr. Ott went on to attend St. Petersburg College before enrolling in the University of South Florida in Tampa to complete a Bachelor of Science in Biology. Dr. Ott received his Doctorate of Dental Medicine from the University of Florida College of Dentistry in 1997. Six years later, while visiting northwest Florida, Dr. Ott decided to establish Panhandle Dental Care as one of Panama City’s leading dental offices. He’s now celebrating over 20 years in dentistry and has helped hundreds of patients lead happier healthier lives. 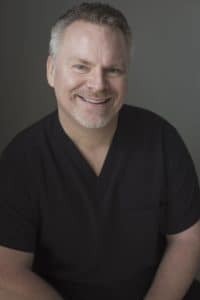 He’s a proud member of the Bay County Dental Society, the Florida Dental Association, the American Dental Association, and the Academy of General Dentistry. Dr. Ott enjoys learning about science and the applied science of dentistry. This passion drives him to pursue continuing education where he’s able to learn about new technology and techniques to provide more diverse treatment options for all patients. He’s most happy when he’s restoring smiles and relieving pain, all by using state-of-the-art dental materials and knowledge to conservatively preserve teeth while making them look beautiful. Outside of the office, you’ll probably find Dr. Ott spending time with family, traveling, boating, and taking advantage of all of the outdoor activities the Florida Panhandle has to offer. give us a call today and schedule your new-patient appointment.